Two female medical engineers examining a piece of equipment. “We need more women in STEM” – is a sentiment being expressed across Canada in recent years. And we agree. 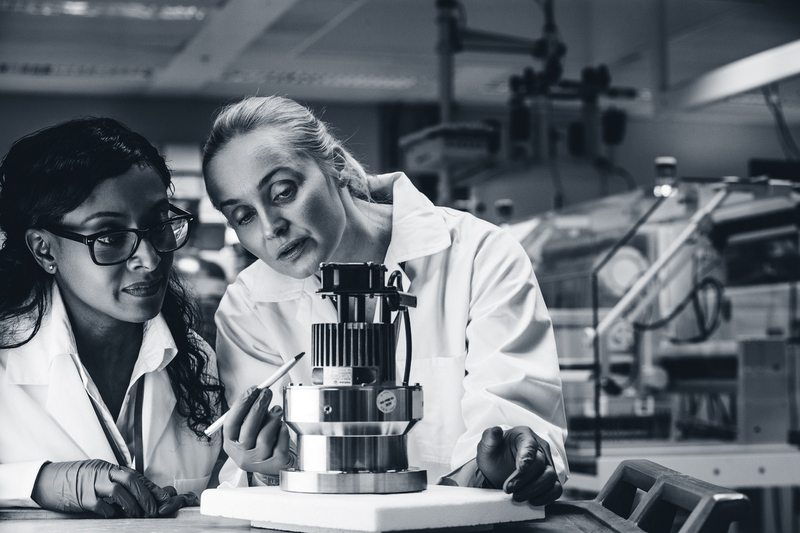 However, as leaders in science communication in Canada, we can also confidently say, the number of women in STEM is steadily and impressively rising. The other day while reminiscing about some of our past work, it suddenly dawned on us how our clientele has changed over the years. While we are still catering to the same science-based industry for the past two decades, many of our key client contacts are now women. Whether she is the CEO of a company representing the commercial side of the nuclear physics sector or the Environmental Project Manager of a mining company, we are witnessing the change on a daily basis. There is no denying the fact that progress has been slow, in fact, a report published by TD Economics last year on Women and STEM: Bridging the Divide showed a mere 30% employment growth since 2010 for women in this industry. Last year, the Canadian Minister of Science, Kirsty Duncan, said quite explicitly she plans to take steps to ensure more women are given opportunities in this industry. We hope more initiatives are taken to change the face of this industry. But today, through this blog we want to acknowledge all those exceptionally talented women who are not just breaking these barriers but are also excelling in the field. Our President, Megan Helmer, is also a prime example of how a woman made a mark for herself in a highly male-dominated industry, such as mining. She is now providing superior guidance and counsel to senior leaders in the industry. Megan can remarkably switch between talking science to engineers and scientists and communicating it in simple language to the general public. We still have a long way to go before the gender representation balances out but that should not stop us from taking a moment to recognize all those women who are leading the way.